This is the last Will and Testament of me, John D. Thomson, of the Township of Scarborough in the County of York and Province of Ontario, Farmer, as follows. After payment of all my just debts and funeral and testamentary expenses, then I give, devise and bequeath to my son Thomas Graham Thomson his choice of two span of horses or mares, such from horses or mares as he may choose belonging to me at the time of my decease, and also two sets of double harness, two double wagons, two double sleighs, two buggies and two sets of buggy harness. Together with the double tree, whiffle tree and neck yokes and all other things belonging to the said wagons, sleighs and buggy with robes and cushions and horse blankets, etc. And also one reaping machine, one mowing machine and ploughs and harness and farming implements. Also three feather beds, three mattresses, three bed stands and bedding for same including bolsters, pillows, blankets, sheets and quilts, bureaus, chamber sets and bedroom furniture in general. And also one bureau and glass cupboards and also such other of the household furniture and effects as he may choose to keep, (except as hereinafter is excepted) and also five cows as he may choose belonging to me at the time of my decease. To have and to hold the same to my son Thomas Graham Thomson and his heirs and assigns forever. I give, devise and bequeath to my granddaughter, Mary Jane Dudley, the sum of eight hundred dollars and interest being the mortgage money and interest as described in the mortgage from my son David Guy Thomson to me, for her sole use and benefit and not to be in any way under the control of her Father. To have and to hold the same to her and her heirs and assigns forever. I also give her the black sofa now in the drawing room. 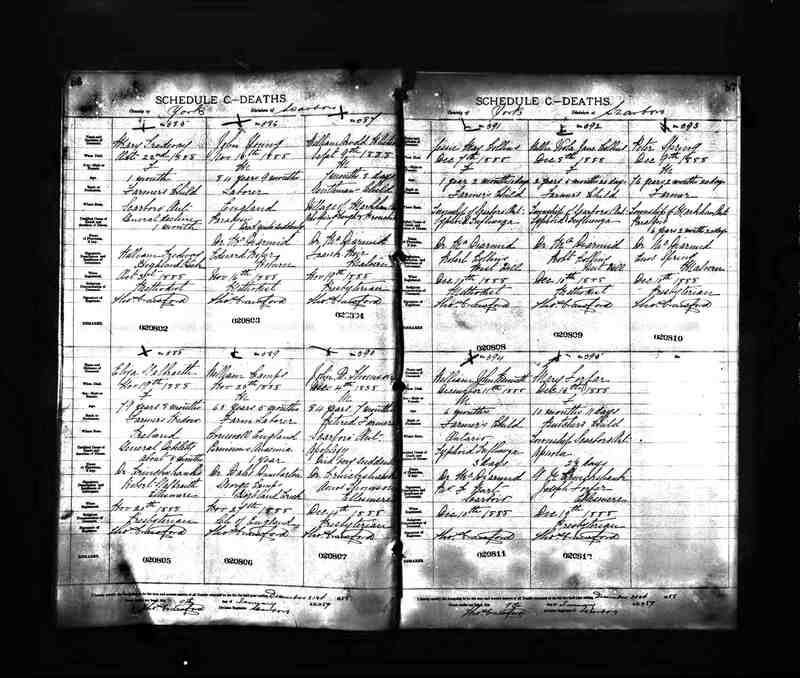 I give, devise and bequeath to my granddaughter, Hattie Mildred Dudley, the sum of eight hundred dollars and interest being the mortgage money and interest as described in the mortgage from my son David Guy Thomson to me, for her sole use and benefit and not to be in any way under the control of her Father. To have and to hold the same to her heirs and assigns forever. I also give to her the side saddle. I also give to my said granddaughters, Mary Jane Dudley and Hattie Mildred Dudley, the bureau in the drawing room and the contents therein and also two pictures that belonged to their mother. And the two pictures that were drawn by their mother and two Berlin wood pictures that were worked by their mother. The whole of the things they can divide amongst themselves as they think best, and all the rest of my pictures are to be divided amongst my three children and my two granddaughters as they think best, and after my son Thomas Graham Thomson has taken all the things that he chooses to take, then my will is that all the rest and residue of my property, both real and personal be sold by public auction by my executors hereinafter named and after deducting all charges and expenses attending the said sale, then the proceeds thereof be divided into four equal parts, one part to my daughter, Jane Wallace Loveless, one part I give to my son David Guy Thomson, one part I give to my son Thomas Graham Thomson, and one share I give to my two grandchildren above mentioned to be equally divided share and share alike. And in case of the death of either of my granddaughters above named before the division takes place, without leaving lawful issue, then my will is that the share of the dead one shall go and belong to the survivor of them. And in case of the death of both of my granddaughters, without leaving lawful issue, before the mortgages above mentioned are paid or before the division of my property as above mentioned takes place and is paid, then my will is that the monies of the mortgages above mentioned and also their shares of the money of the division of my property as above mentioned, that would have belonged to my said granddaughters if living is to be divided into three equal shares. 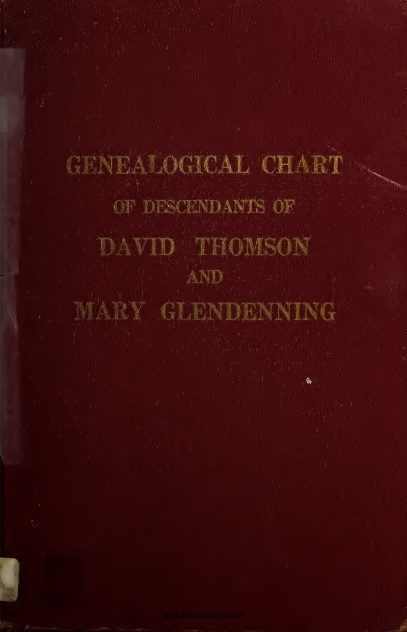 One share I give to my daughter, Jane Wallace Loveless, one share I give to my son, David Guy Thomson, and one share I give to my son, Thomas Graham Thomson. I also give to my daughter, Jane Wallace Loveless, the corner cupboard upstairs. And I hereby nominate, constitute and appoint my trusty friends, Amos Thomson of the Township of Scarborough in the County of York and Province of Ontario, Farmer, David Johnston of the same place, Farmer, and Duncan William Fitzpatrick of the Township, County and Province aforesaid, Farmer, to be executors of this my will. And I hereby authorize and empower said executors, or the survivors of them, to sign, seal and execute all deeds, releases and papers whatsoever that may be requisite or necessary to be done in carrying out this my will. And I hereby revoke, annul and make void all other wills and testaments by me. In witness whereof, I, the said John D. Thomson, have hereunto set my hand and seal on the 12th day of April 1884.